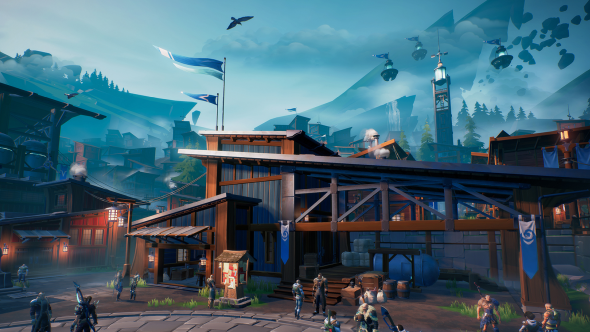 On the Vancouver morning we call up Phoenix Labs there are 87,000 people not playing Dauntless. Instead, they’re in the queue, waiting to join the game’s newly open beta. Over the subsequent weekend, the team have managed to bring that queue down to nothing – and drink “40 gallons” of coffee. But the question remains: why is Dauntless proving so popular? 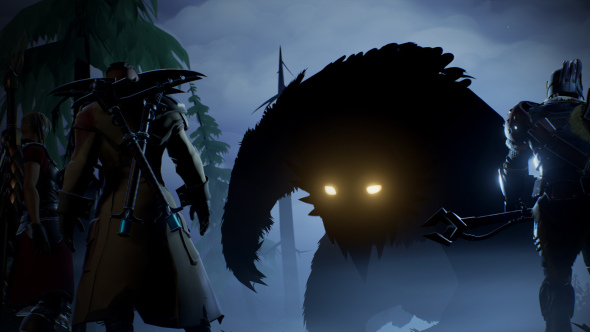 If you’re into Dauntless’ gear grind, there are a few among our PC Best RPGs on PC list. This is a game about setting out into the forest to slay monsters: creatures with the bodies of bears and the heads of owls, over-large dogs with antlers, hovering insects with snake tails, pigs covered in porcupine quills – all rendered beautifully and at great scale. He is referring to Monster Hunter, the beloved and long-running Japanese series with an identical premise. While a Monster Hunter: World PC port is looming on the horizon, the core games have never been on PC – a vacuum that Phoenix Labs intended to fill. 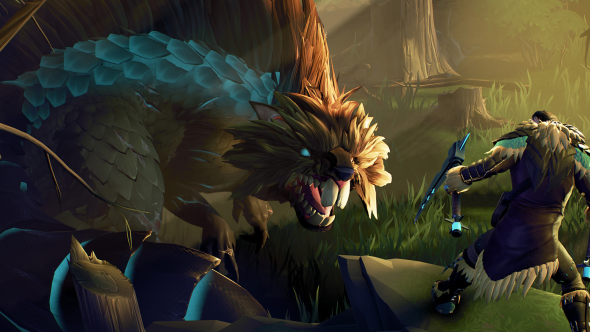 By the time Dauntless hit closed beta in September 2017, however, the studio discovered that they were wrong. Their players were not into Dark Souls, for the most part, or monster hunting peers like Toukiden and God Eater. Instead they were overwhelmingly flocking from Warframe, Path of Exile, and Terraria – games that bore no relation or resemblance to Monster Hunter. “We raised an eyebrow for a second,” Clifford says. “What we found was that for free-to-play on PC, the genre was important, but what was more important were things like co-op. 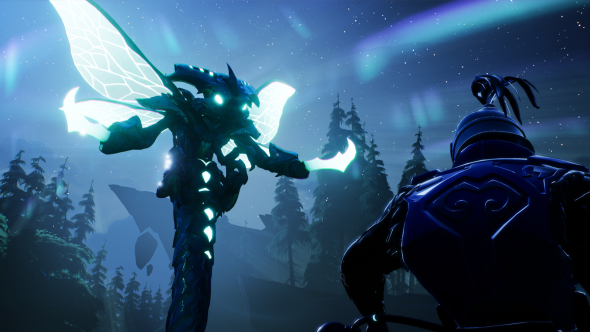 That unexpected migration has had knock-on effects for Dauntless’s design. Many of the precepts of the genre that Phoenix Labs had assumed players would understand were being missed or misunderstood, making an already challenging game harder than intended. 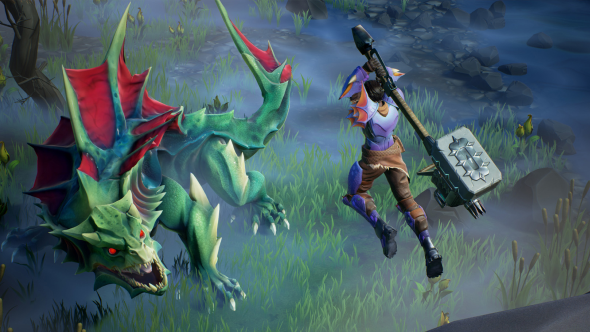 Towards the end of last year, the studio doubled down on clarifying Dauntless’ quirks during the first five hours of the game. No longer is crucial information buried on a wiki, in the forums, or somewhere down the back of the patch notes. 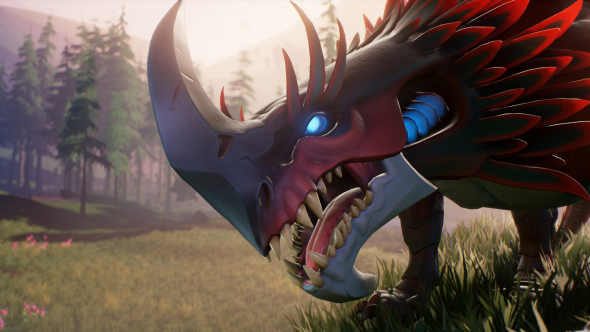 Moreover, there are other and more intriguing ways Dauntless is making the Monster Hunter formula PC-friendly. Houston’s favourite point of reference is the opening of the Gates of Ahn’qiraj in World of Warcraft over a decade ago. A server-wide world event with several phases, it culminated in a ten-hour long war at the Scarab Wall. Shortly afterwards, the studio’s level design team commemorated the event permanently with three NPCs in Ramsgate, Dauntless’s social hub.